In order to perfectly plan for your retirement, what you need to figure out is how much pension income and investments you will be having at the time you are retiring. This includes your workplace or even your workplace and State pension. Since this is something which takes a long time, it is possible to lose track of pension investments over time. The number of years you have lost track of your pension investments, you should not worry. This is because here, we are going to give you information on what you should do in order to trace them back. Most of the pension schemes you have been a member must be able to send you a statement on a yearly basis. The statements includes estimates of the various investments and retirement income that the pension pot may have generated when you are about to retire. If these statements are no longer reaching you, perhaps reason being changes of address, then tracking down your old and missing pension investments has three bodies to contact i.e. pension provider, your former employer in case of a workplace pension and finally, the pension tracing service firms. If by chance you still have all the details of who the provider of your pension investment was with. Your first step should be to contact them. In most cases, if you have all the details, you will get a link at the bottom of your template documents for you to complete and send back to them. In the contact details, you should be in a position to provide all your details like name, date of birth, national insurance number and the date in which your pension investment was set up. This is one of the best ways of finding your old and missing pension investments. This is because you will get all the details about your plan hence, being in a position to claim the ownership to the pension investment. Another very good way of finding your old pension investment is by contacting the pension tracing service. With them, you will have a chance of getting all the information you need to claim the right of ownership to the various investments entitled to you. 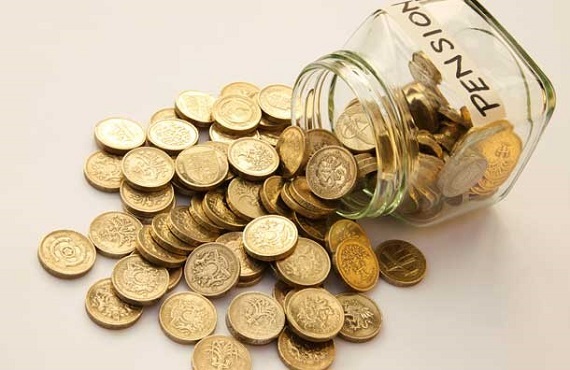 Pension tracing service is a free service which is able to search the database of more than two hundred thousand workplace and personal pension schemes hence from here, you will be able to get all the details of the investment you are launching claims to. Apart from directly calling the pension scheme services, you can also use online methods to make a claim on the investment you are in pursuit of. It is good to make fast and informed decisions since there are so many things you need to know about your investment before you launch a petition. The only way to making this a reality is by researching thoroughly on the various pieces of information you need in order to equip yourself fully towards the battle. Finally, if in case you are not sure of what you are supposed to do, it is good to hire an expert to do this on your behalf. This is one of the best ways to use since you will have an advocate who is well conversant of what is needed to be done in order to outsource all the information needed while in pursuit of the procedure. Secondly, the process will take the shortest time possible since it is being handled by a professional who is probably experienced hence fully aware of all the steps hence, no need to spend a lot of time going through the procedure kit as it could be the case for a first timer. On the other hand, you will have a chance to be represented on high tables by a confident professional who knows your rights hence, the chances of success are very high. If you are in pursuit of such crucial matter, it is a good thing to hire a professional and give them all the information needed in order to follow the case into success and at the end of the day, you will be able to find your old and missing pension investments without struggling too much.